Something about this outfit feels very French, though there's nothing particularly French about it. Regardless, Joyeux Noël! I'm so excited for Christmas. I also want to send my love and prayers to the families of those people whose lives were tragically taken from them on Friday morning in connection with the shooting at Sandy Hook Elementary School. I'll be thinking of them this holiday season. 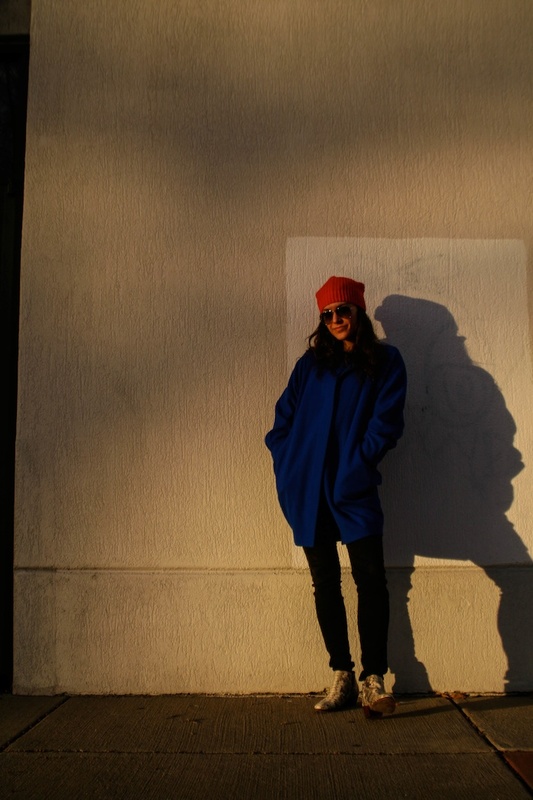 Helene Berman coat, Gap beanie (different color), Ray-Ban aviators, James Perse thermal (similar American Apparel), Rich & Skinny jeans (similar), Sam Edelman Petty booties. 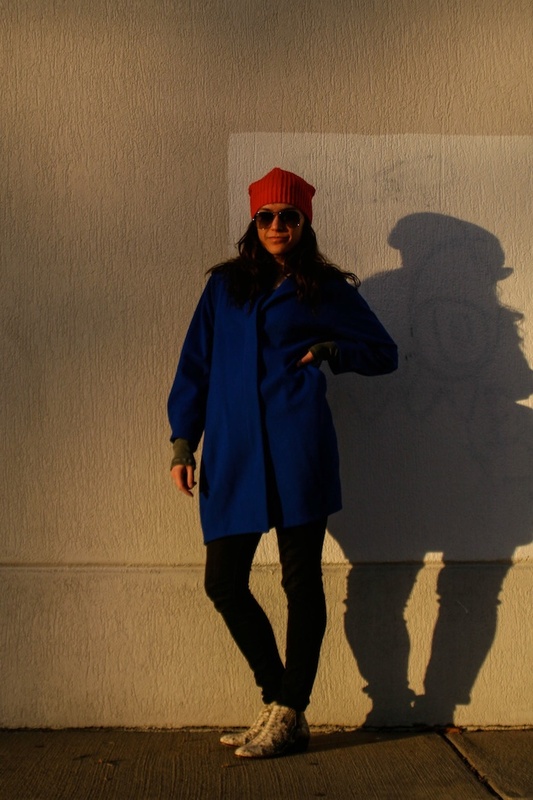 Love this blue coat! Cool! 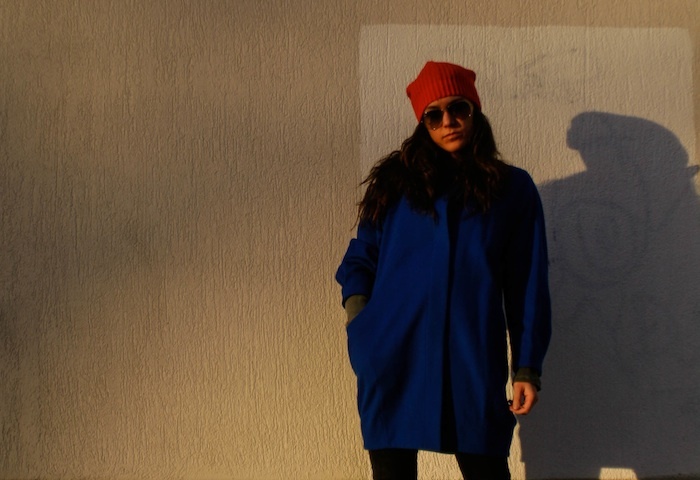 Your blue coat is in fashion! Another fabulous coat - love it!! Me gustan mucho los botines!!! Love the coat! Want it! 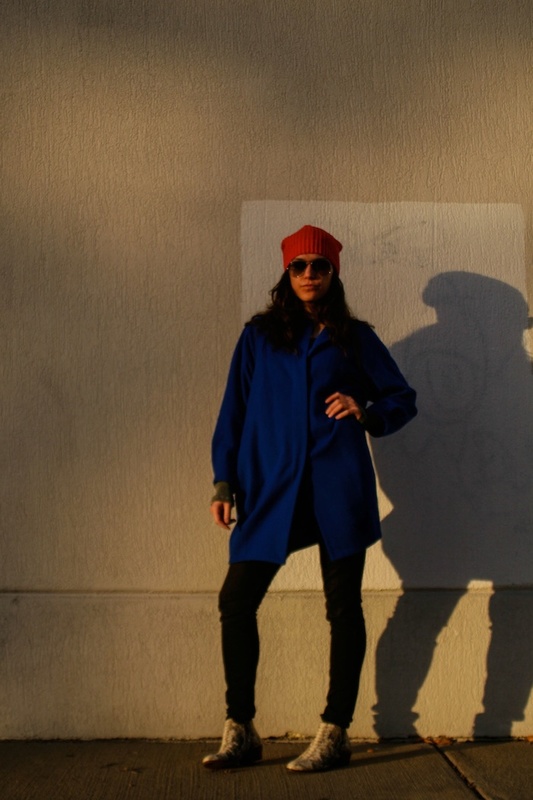 I love the voluminous shape of this coat and the cobalt color is beautiful! It can be so difficult to stay stylish in the winter but this coat definitely does the trick. I'm so excited for Christmas, too! I can't believe it's only 8 days away! Im still shocked about the shooting! I'm really glad you mentioned it. Will definitely join you with the prayers. Amazing coat! I just love the oversized shape and the color is fantastic! Great hat too! I'm so in love with your coat! That coat is fabulous and love the contrast with the hat!